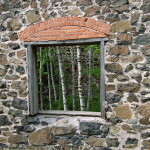 Michigan’s Keweenaw Peninsula was once home to many successful mining operations, which provided the finds to build many of the stunning structures that are still standing today. 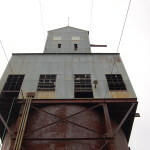 Calumet was once home to the Calumet & Hecla Mining Company, a copper-mining operation that was the most successful of its time and paid out more than $72 million in shareholder dividends. 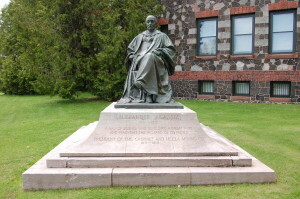 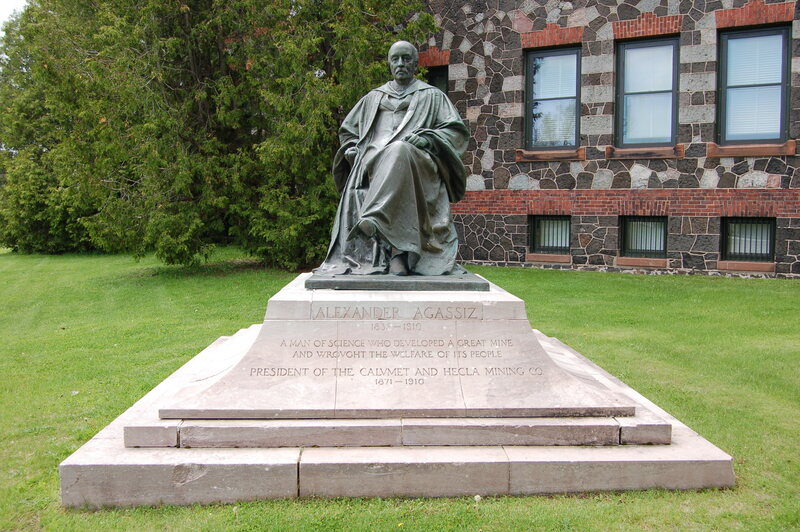 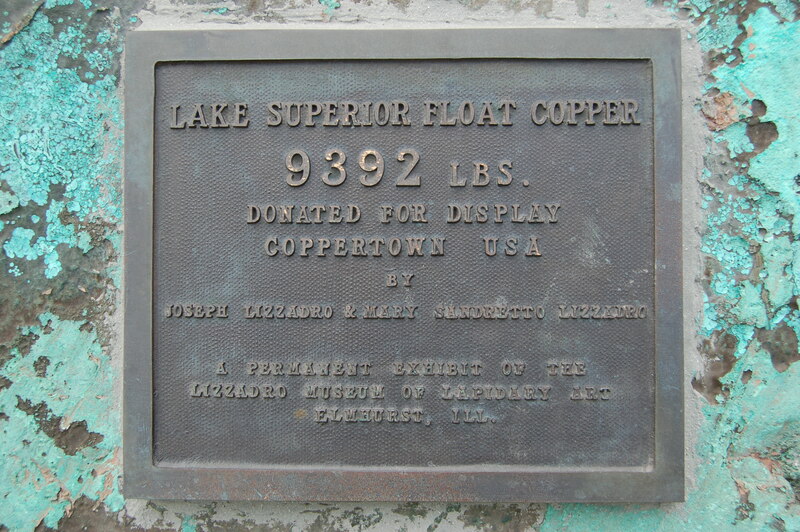 Alexander Aggasiz managed the operation and was named president in 1871, and a statue at this site pays tribute to him and also shows off a 9,392 pound of float copper. 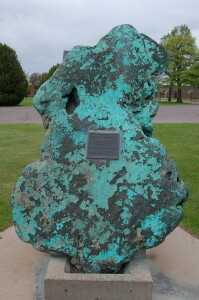 The float copper is a great example of the large pieces that were often found here in the Keweenaw and on Isle Royale. 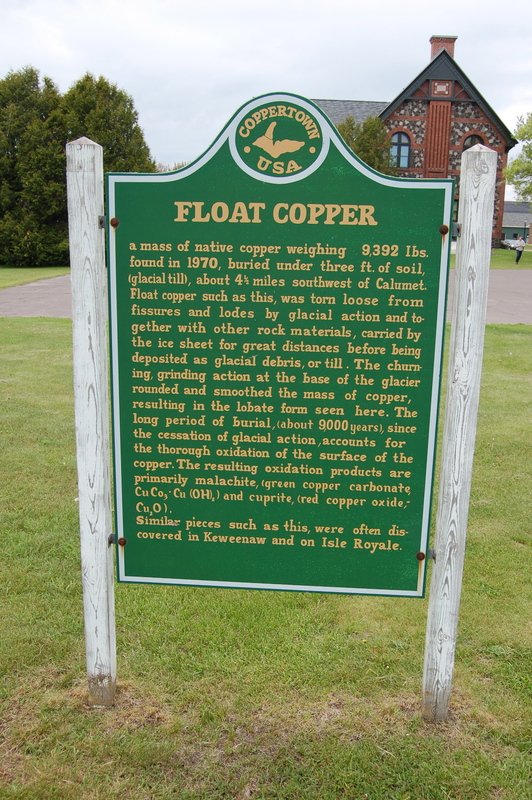 Float copper was moved by glacial action, then later uncovered under as little as three feet of soil. 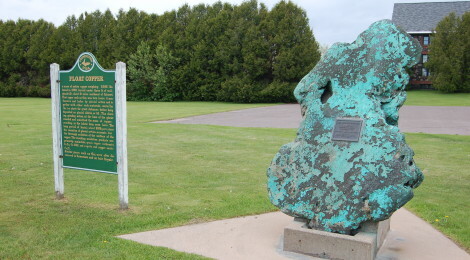 A marker next to this valuable piece of history explains the process as well as the reason for the weathered green color of this piece. 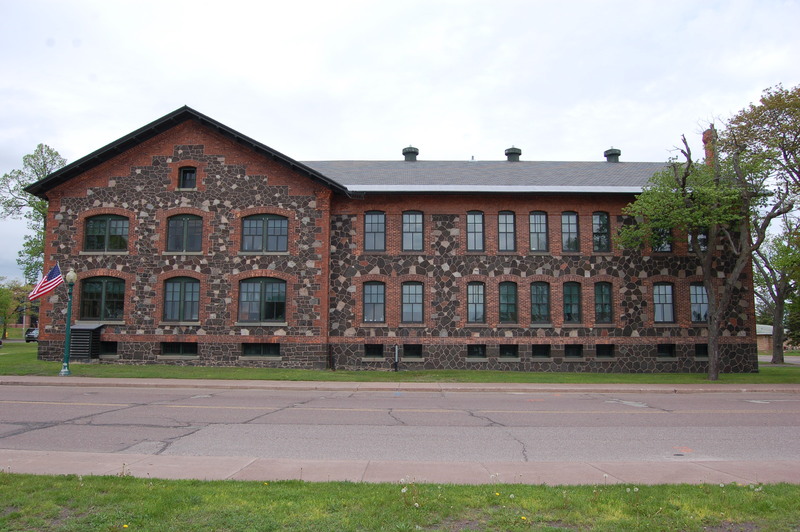 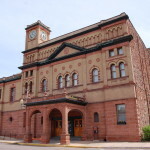 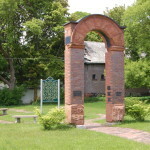 Across the street from this small grassy park is the former headquarters building of the Calumet & Hecla Mining Company, which now houses the Keweenaw National Historic Park headquarters. This large building features stunning architecture that is similar to some of the surrounding buildings – the address is 25970 Red Jacket Rd., just off of US-41.